› Major Update 2 Details and more! Ahead of the release of our next Major Update, players have been asking us to bring them in to help test the game before it’s pushed live to the world! There are lots of important dates in the run up to and in relation to the release of Major Update 2 (MU2). Pretty self explanatory here. Joe and Howard will be holding an MU2 AMA on the Battalion 1944 Reddit page to answer any of your questions that you have about the Major Update 2 that isn’t featured in this update explanation. We will release the link to this thread soon. Tensions have been building on the Battalion 1944 Reddit between Joe and Howard and has accumulated to a Showmatch with each developer leading each team against each other. This light hearted but competitive match will showcase the new Wartide 2.0 gamemode that is coming in MU2 and it will also be streamed and casted by The Plays [www.twitch.tv] on their Twitch Channel. The teams are made up of the ‘balance team’ who play the game to try and nail the balancing on Wartide 2. These teams have been playing morning and afternoon this week and consistently the game ends tied. With our new overtime feature, we’ll be looking for a nice competitive game. Place your bets! 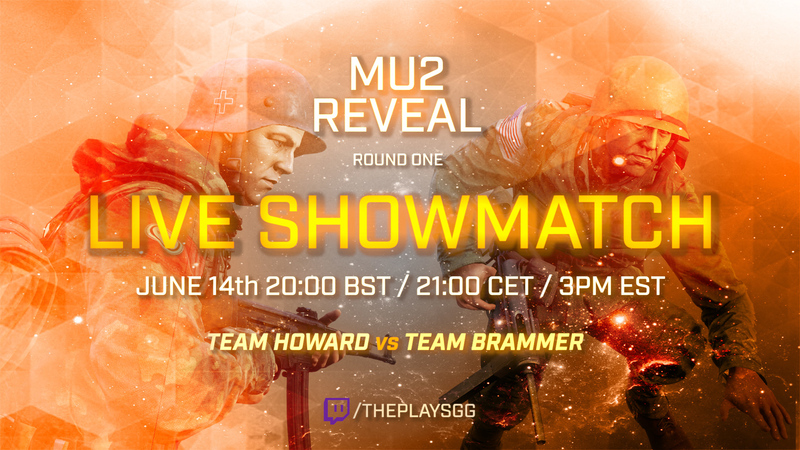 Team Howard or Team Brammer? - We will have a large list of servers open for use that will be running both competitive and arcade gamemodes. There will be enough for scrimming, so just pick a server, ready up and use it till you’re done. - We will have a large list of servers open for use that will be running both competitive and arcade gamemodes. There will be enough for scrimming so just pick a server and use it till you’re done. In June, when we feel the MU2 build is stable ‘enough’ for testing, we will push a version of the game on the MU2 build to our “Public Beta Branch” on Steam. We will not be using the “Battalion 1944 Test Zone” (this is what we used for the pre-release Beta stages of Battalion) for a few good reasons, but this won’t change anything for you! Open Steam > Right Click ‘BATTALION 1944’ > Properties > Betas > ‘enter code’ > Select ‘beta’ within drop down menu above. Important reminder: The only way to get the code for the Major Update 2 Beta Branch will be in the Official Battalion 1944 Discord. There are competitive channels in this Discord Server that you can use to set up PUGs. This is similar to how games like BF1, PUBG and Overwatch do things with their CTE, Test Server and PTR. We are just a little behind these games with player management profiling and therefore have to roll this out to you guys using a coded Steam Beta Branch within the game itself. Throughout the Beta phase we will be watching the feedback. What we will not do is be “over-reactive” to initial feedback. The beta phase will last a few weeks and during this time we will make changes, fixes, and improvements. We absolutely expect there to be bugs. But this is your opportunity as a passionate gaming community to make an impact on a commercial video game and this is our opportunity to make our passion project commercial! By listening to your feedback we believe we can maximise the potential of Battalion 1944. 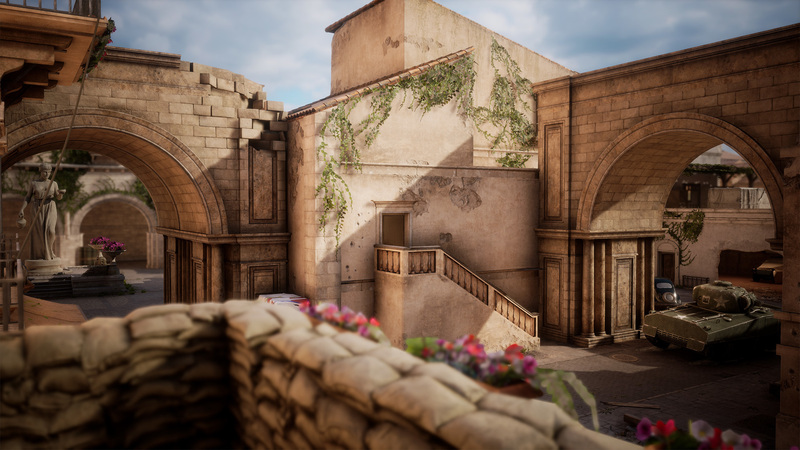 We are not setting unrealistic expectations during this update, our goal is to show people what Battalion 1944 should have been at launch, but could only be possible with the extensive feedback given to us over the last 4 months. After we believe the game is balanced and just prior to the ‘Gallantry LAN event in Budapest’ we will push the release version of MU2 to the live Battalion 1944 branch.